BlogDoes Your Small Business Need A Facebook Page? Does Your Small Business Need A Facebook Page? Facebook has taken the world by storm, and it is here to stay. Business owners, whether big or small are using social media platforms to effectively promote their business. If you are a small business owner, you may feel like you don’t have the budget to run a workable social media strategy, in particular on Facebook. However, Facebook is affordable and is ideal for small businesses to get a start to not just engage with your followers but also gain brand recognition. Being on Facebook gives your business a direct way to talk and interact with the target audience. It is like having your own focus group and you need to engage with them, as they are interested customers and potential customers. They stick around because they want to get to know you and the company better. At the same time, the more they hang around the more useful information you can receive from their participation. Facebook advertising also gives you insight into your target audience. For instance, what your followers like, dislike, enjoy reading, sharing and commenting is visible for all to see. Facebook marketing gives you an opportunity to create a human connection with your followers. You get to humanize your brand which is integral to running an effective business. While you are running a business page, you still get to show a lighthearted side of the company in for instance, your postings, responses and how you deal with your followers. Facebook helps you create a community within the community. It is an excellent place to gather your fans, prospects and existing customers to offer feedback, share opinions, voice concerns or give advice. You can grow your Facebook community through posting relevant and useful links, asking fans to contribute through posts, comments and other interesting information, organizing contests and promotions and offering incentives. Having a Facebook page effectively allows you to optimize for search engines. 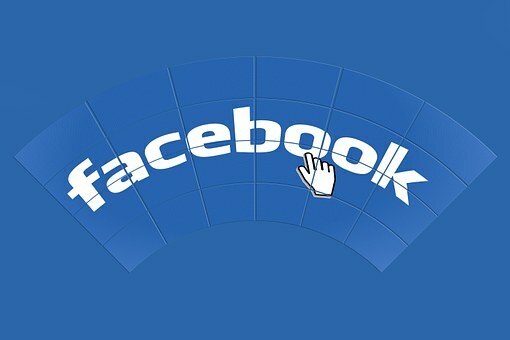 A Facebook page can be used to direct traffic to your website or blog. It will give your SEO ranking a boost as it can get indexed by search engines. A Facebook page rich with content that is relevant to your company will help increase search engine rankings. If your competition is on Facebook there is no reason why you shouldn’t be. It only means they are taking away followers you may otherwise get, because they use the platform and you don’t. Facebook provides small businesses an opportunity to have an online presence on social media, and be aware of your competition’s performance at the same time.